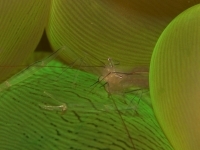 Shrimp with a transparent body and fine purple lines down the legs, chelipeds, body and the margin of the tail. 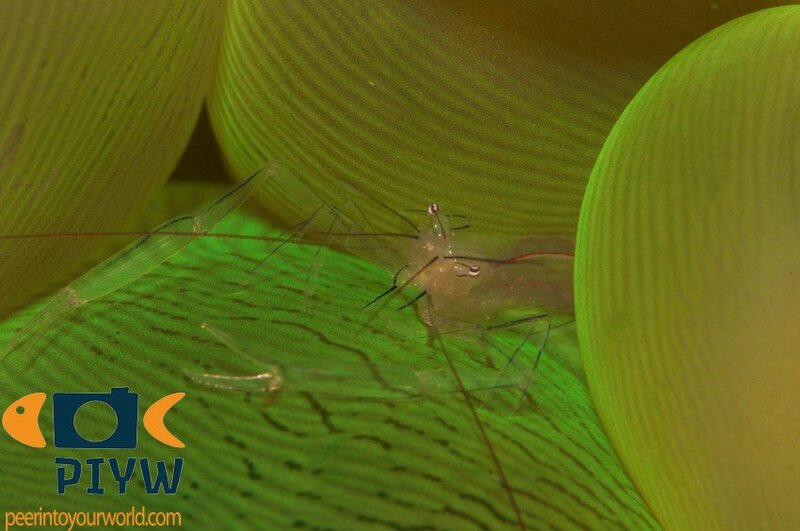 Most of the time they can be found on bubble coral (Plerogyra sinuosa). When sitting still they can be hard to spot. Unassessed by the IUCN Red list. Uncommon species. Indian Ocean and the Pacific, from the Red Sea to the Philippines, from Japan to Australia. They prefer bubble coral in a depth range of 7-30 meters. They feed on parasites, algae and plankton.